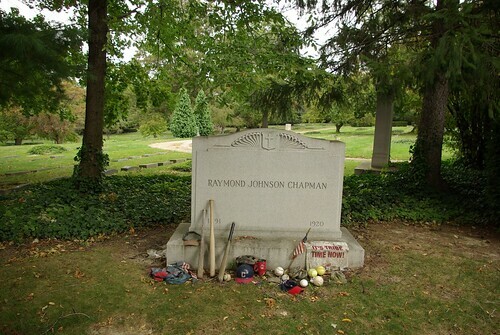 With the start of the baseball season, we remember Raymond Johnson Chapman (January 15, 1891 - August 17, 1920), the last professional baseball player to be killed by a pitched ball. The ball was thrown by Carl Mays, of the New York Yankees, at the New York Polo Grounds. His funeral was at St. John Cathedral. He is buried in Lake View Cemetery. This historical marker, erected by the Lake View Cemetery Association, commemorates his life. The Pitch that Killed by Mike Sowell documents the story behind this tragedy. Lake View Cemetery is located between Euclid and Mayfield Roads in Cleveland. Access to the grounds may be made from either road. 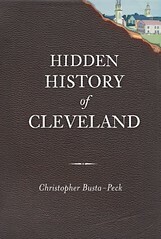 The mailing address is 12316 Euclid Avenue, Cleveland, Ohio. 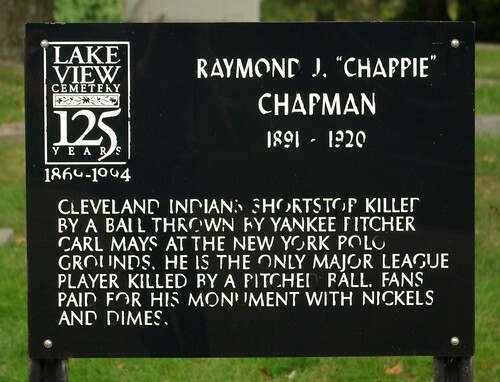 Thank you for posting this on Ray Chapman. His death shares the same year as one of the Indians rare World Series wins, 1920. The other one was 1948.